And so here it is, near the end of the year. I love the holidays. The Christmas china gets put in the cabinets to use on a daily basis, parties get planned and attended, my son comes home and all is good. In my kitchen are fantastic cookie cutters for making sugar cookies. The cookies will be decorated and given to anyone who visits. There are impression cutters and outline cutters. The impression cutters are my favorites; they have been around my kitchen since 1978 and get used every year. I love filling in the designs with all kinds of colors and sparkling sugar. Since I am making some today, a post on them will soon follow. I love these impression cutters. We are making candles in my kitchen too. While these were made last year, we make them every year for gifts. They are nice to take along when visiting. Kayla made these for her mom last year. It is always nice when it is cold outside as the process goes along quicker. We made these candles last year for my son’s girlfriends mother. My kitchen is busy making all sorts of gifts. Here is one of my TV shows loaded with all sorts of gift giving ideas from my kitchen to yours! Have fun! Head over to Celia at Fig Jam and Lime Cordial to see all the fun things going on in kitchens across the world. 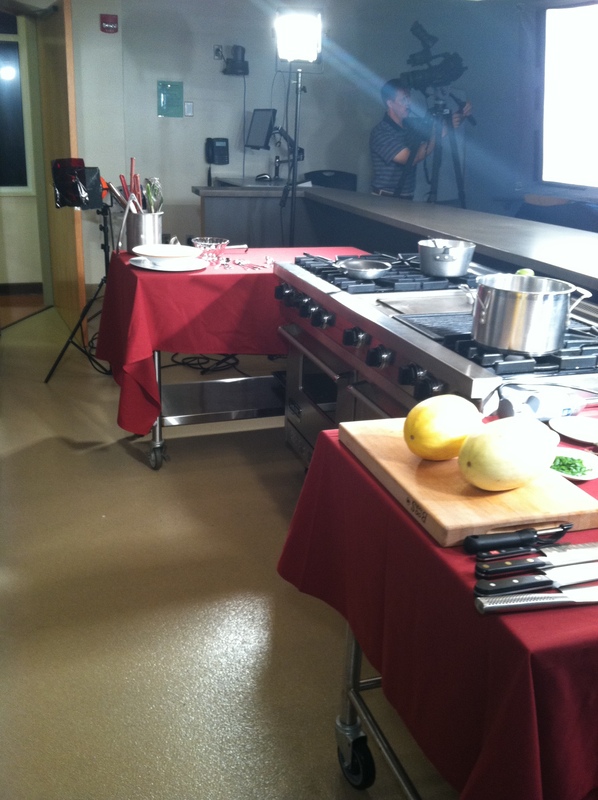 In January, we filmed an episode of “Charlotte Cooks” about making no knead bread. The episode was released and began airing on TV and You Tube on April 2. The comedy of errors that went with the taping, I think, were glaringly obvious. The process made me think this is how Lucy Ricardo would have made bread. In spite of the dough getting out of hand, she would have continued on, so I did too. To shoot the episode, I had to have bowls of dough in various stages in order to shoot continuously. The camera crew was not prepared to step up the pace we normally shoot. The idea was to keep one step ahead of the rising dough. Russ had to keep telling me to slow down. Guess I was trying to keep pace with the dough rising. I had 5 bowls on dough going at various stages, all while trying to talk about the different stages and move them along to the next for a supposedly seamless show. I gave up on seamless. As you watch the episode you will see, by the bowl of dough that gets plopped into the oven, the dough had a mind of its own. Things got to a point where everything was comical; flour everywhere, dough spilling over the sides of the bowl and the oven at 450°F in addition to the camera lights. So the room was perfect for rising dough quickly. I didn’t think we had enough good material to actually put together a show but Russ, the main man on the show, did a great job. 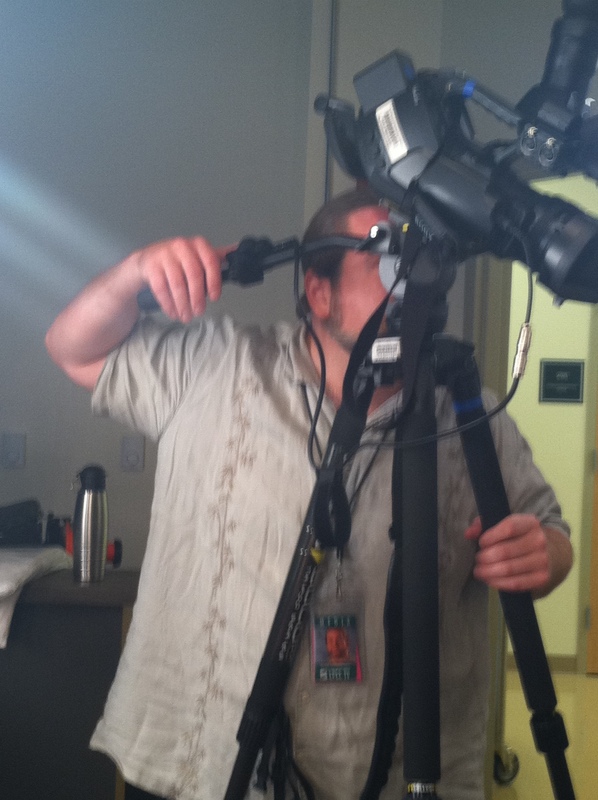 I love my camera crew! 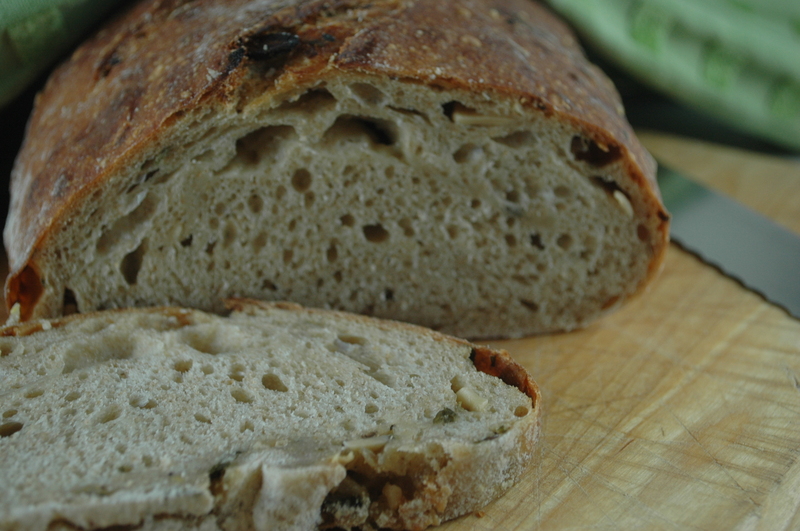 You can read my post and get the recipe for No Knead Bread here. Yeah, you can cut it half and make a single loaf, but then you wouldn’t have the fun playing with 2 balls of dough. If you want to make the Chocolate Cherry Bread, reduce the flour by 1/2 cup, add 1/2 cup dark cocoa. Just as you use raisins, substitute dried cherries and put 1/2-1 cup of dark chocolate chips in the flour. Everything else is the same! Watch the next 20 minutes and let me know what you think.